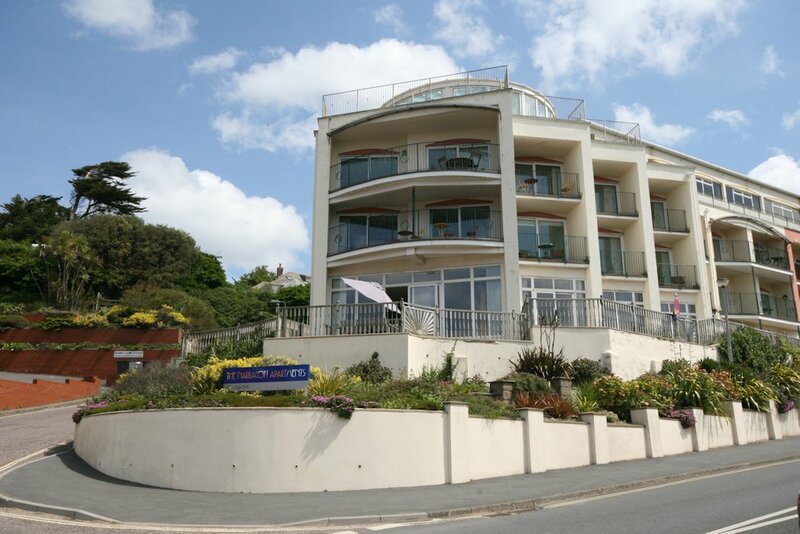 Stunning sea views enjoyed from this extremely large 3 bedroom apartment including master bedroom on mezzanine floor overlooking the beach. Large wrap around terrace for outside entertaining & parking. 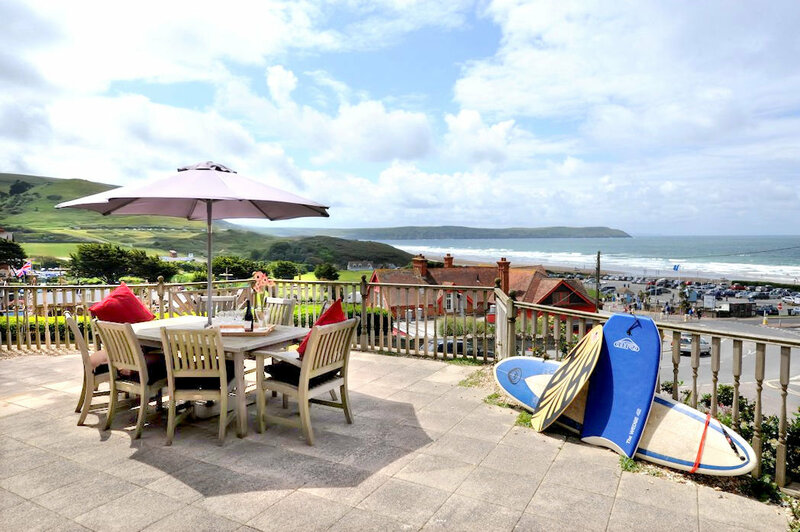 This extremely large three bedroom apartment is located in an enviable position in Woolacombe being close to all amenities and the main popular surfing beach. Surfing, kite-surfing, wind-surfing, walking, cycling, riding, golfing nearby! Fabulous sea views across the three miles of golden sandy beach towards Putsborough, Baggy Point, Lundy Island. 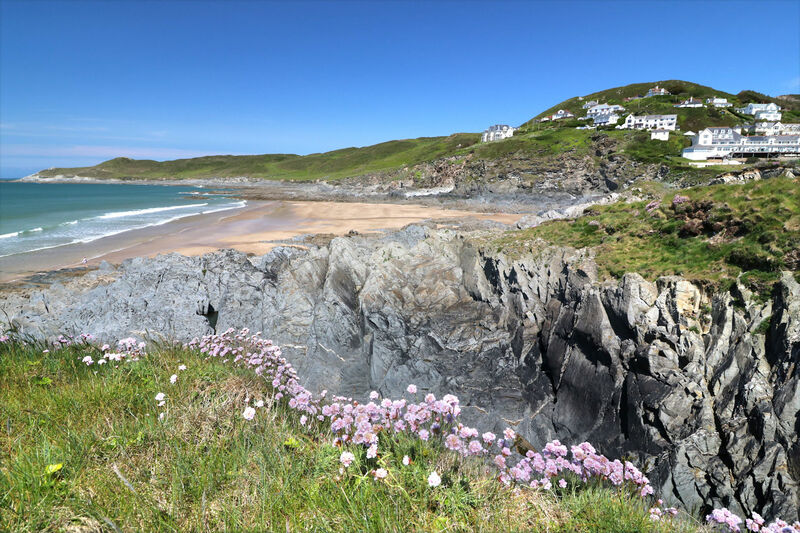 Croyde with its popular surfing and rock pool beach and its pretty thatched cottages is just a short drive away (or you could walk around Baggy Point!). Surf View apartment is well equipped and with the benefit of an extremely large south/west facing wrap around terrace where you can sit and watch beautiful beach sunsets. The property has one parking space and storage. A large entrance hallway gives access to the bunk room with 2 sets of bunk beds suitable for 4 people in total, modern bathroom with shower over bath, utilty room with washing machine and sink, double bedroom with en-suite shower room, large open plan sitting/dining room with large dining table and seating for 8 and glazed front elevation showing off the fantastic views over Woolacombe beach and sea. Stairs lead down to the large kitchen/breakfast room which is well equipped and has sliding doors that lead out to the side terrace. Stairs up to the master bedroom with four poster bed and en-suite shower room. From the sitting room steps lead down to the extensive front terrace with wooden table and chairs for 'al-fresco' dining. This property doesn't have its own Wi-Fi. However, you are able to connect to an openzone (charges apply). Surf View is accessed at the rear of the property from the car parking area. The ground level at the car park and the front of the Surf View apartment differ as the property is built on a hill. To access Surf View, you enter the lobby at the rear of the property (from the car park), and proceed down 2 flights of internal stairs. There are also steps within the apartment and at the front door. There is a lift within the building however, in the event of a fire or mechanical failure, it would not be possible to use the lift. 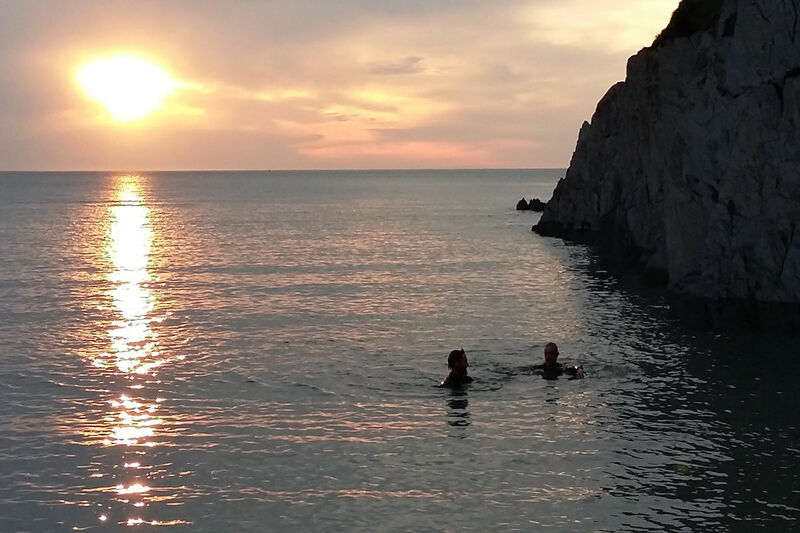 The big selling point of this apartment is the location, you can be on the beach within minutes, which is particularly useful if the weather is changeable. The apartment is furnished with everything you need, some of the furnishings are a bit tired but it is very clean. The patio is a great place to sit with a glass of wine and watch the world go by. 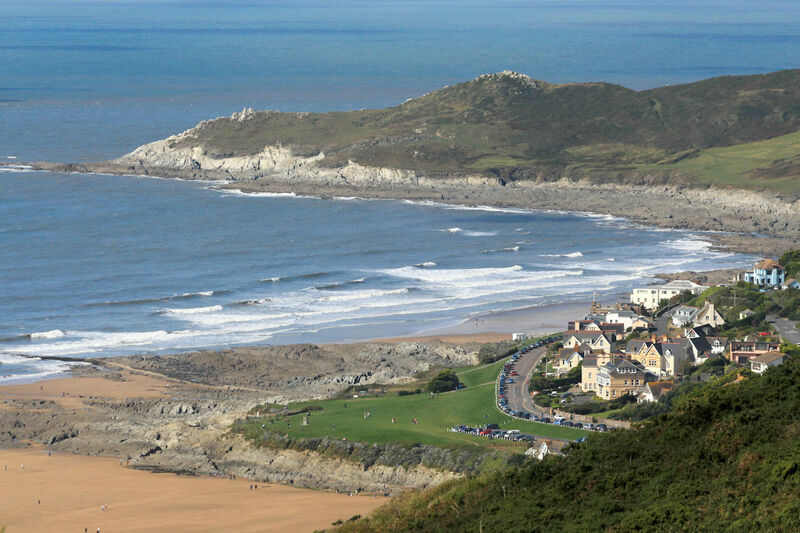 We come to Woolacombe every year and this is the best place we have stayed due to the fab location. The views across the beach are amazing. We stayed at this property a couple of years ago and recently re-visited for the weekend. The property was as we remembered it- excellent if you have a group of friends and want to have enough space for everyone. Overall this is a really great property, though I would mention that there is one less sofa in the property than is shown in the pictures on the ocean properties website. The property would benefit from free wifi as most of us had data on our contracts but the 3G coverage was poor. There is the option of BT openreach wifi but I think you have to pay for this. We brought speakers over to play music, which I would advise as we couldn't see any speakers, although I thought there were some last time we visited! The tasty cake and milk already in the flat on our arrival was a lovely, much appreciated touch. Overall Surf view is a fab place to stay, I only mentioned the minor points as that was all we could find wrong with it! The views across the beach are amazing.